Over the years IT has evolved and become more customer service oriented. No longer is an IT department just about keeping the hardware and software running. We serve customers within the organization with products, services and solutions. Gone are the days when IT was disconnected from the business. IT is now an integral part of the business and has many customers, both internal and external. This is why integration of good customer service policies into IT departments is so important. For some in IT customer service is difficult. They are used to being in the background keeping the systems running and not really thinking of themselves as providers of products and services. They may not care for or about the customer. In the new world of enterprise wide IT it is all about the customer. We provide the infrastructure and solutions that keep the business running and growing. Today IT touches nearly every department and every employee of an organization. These departments and employees are all our customers. I have a simple mission statement for our department. “We will continuously improve our products and services to meet or exceed our customers expectations”. The purpose of this is to remind us of who we serve and how we do it. This highlights our need to continuously improve and that all of our products and services must meet our customers expectations. From the CIO to the office worker everyone has a customer. For an IT department most of our customers are internal to the organization. Our customers are the people within our organization that consume or depend on our products and services. Your goal should be to meet or exceed the expectations of your customers. To do this here is a simple plan. It is high-level and should be tailored to your specific department. It borrows a lot from quality management since our goal is to provide our customers with a quality product. Identify Your Customers – Determine what people and departments consume your products and services, both internal and external. Determine Your Customers Expectations – Sometimes customers will give your their expectations. With others you will have to seek them out. Survey them, talk with them, find out how they use your products and services. Find out how they think your products and services can be improved. Define The Processes – Think of it as products and services that must meet strict quality standards. There is only one way to produce a product or service, the right way. The right way can be documented into a set of processes or work instructions. Standardization is the key to good customer service. Everyone should know the best way. Follow The Process – Demand strict adherence to the processes or work instructions. If the right way is the only way to do it, deviations produce inferior products that will not meet the expectations of the customer. Get Feedback – Perform regular follow-ups with all of your customers to see if your products and services still meet their expectations. Change is an inevitable part of business. Needs, requirements and expectations will change. This is one reason feedback is so important. This is also why continuous improvement must be built into your system. Process improvement is one area you can always look at. If you have standardized process or a set of work instructions as outlined in step 3 examine them step-by-step. First decide if the step is needed, if not discard it as a waste of time. If the step is needed look at it and see if it can be improved. Is there a way to do it faster, cheaper or more efficiently? Can it be changed to better align with or exceed the customers expectations? Implement the change in the process and carefully monitor it. Does it have the desired result? Does the change degrade or improve the product or service? Does it have an unforeseen impact? If the change improves the product or service it then becomes the new step in the process. Go through each process and each set of work instructions in this way. I am a firm believer that there is always a better way to do something. Continuous improvement is never-ending. Always look for a better way to produce your products and services. See Deming’s PDCA (Plan, Do, Check, Act) cycle. Another way you can improve your products and services is getting feedback from your customers as outlined in step 5. Does your product or service still meet their needs? Have their needs changed or expanded? They usually do. Take this feedback and set up a new set of customer expectations as defined in step 2. You will then need to look at your processes or work instructions using the steps defined in continuous improvement and tailor them to meet or exceed these new expectations. Whenever you change a product or service get feedback from the customers to see if there has been any adverse impact and if the product or service meets their new expectations. If so you now have the new standard for your product or service. If not it is back to process improvement. 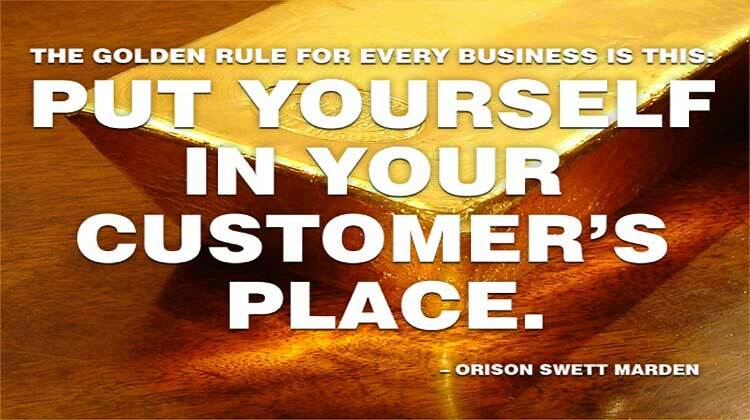 Good customer service is about producing a product or service that meets or exceeds the expectations of the customer. You must define your customers, learn their expectations, develop standardized processes, always follow those processes and get continuous feedback from the customer. By continuously improving your products and services you will be sure that they always meet or exceed the expectations of the customer. Since the right way is the only way to do something, standardization is important. But to stay on top you should always look for ways to improve and produce better products and services.